Okay, that’s a rather unfair headline, but Australians’ grasp of scientific concepts is certainly slipping according to a new survey from the Australian Academy of Science. 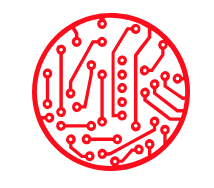 The online survey of 1515 Australians selected by a market research company and weighted to reflect gender, age and residential location, found that a number of fundamental scientific facts were less well understood than they were three years ago when the last study was taken. 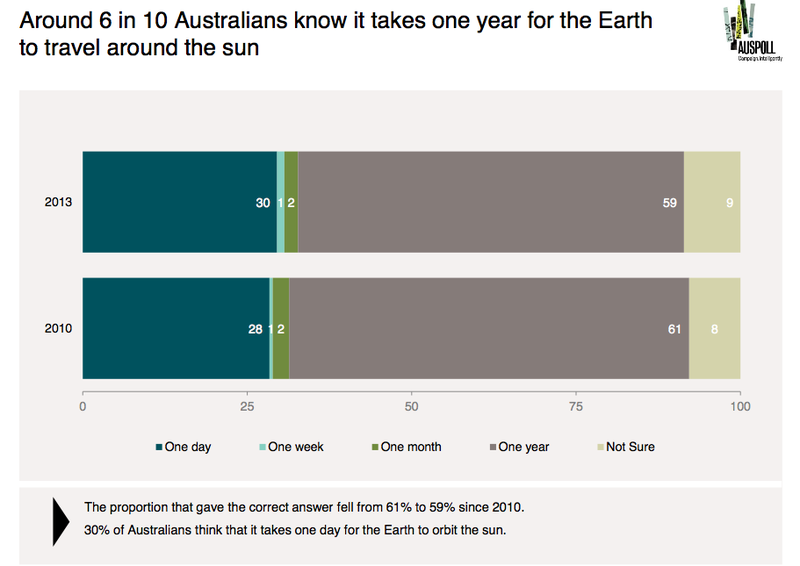 For instance, only 6 in 10 Aussies think it takes one year for the Earth to orbit the Sun. See the top line results below and the study details here. The Academy’s secretary of science policy, Les Field, said he was “stunned” that 40 per cent of Australians didn’t get the answer right. Other scientists said the survey should be a “Wake-up call” for Aussies. Science literacy declined most markedly in the 18 – 24 year old category. Why is that? Does it matter? Are these sort of surveys even a legitimate way of gauging a country’s science literacy? Would New Zealanders do any better? Whatever the case, any excuse to stick it to the Aussies has to be relished! 73% of Australians think people are influencing the evolution of other species. Generally younger respondents, men and those with a higher education level were more likely to answer the questions correctly. For example, there was a 12% reduction in the proportion of 18 – 24 year-olds who know the earth orbits the sun in a year (down to 62%). There were also tentative, but less significant falls in the proportion of 18 – 24 year olds who believe that evolution is occurring or that humans are influencing the evolution of other species. 79% of Australians say that science education is absolutely essential or very important; almost the same proportion as 2010. Still doing better than the Americans then…barely.